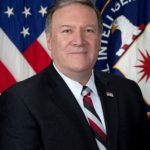 Director Pompeo Should Be Confirmed: On behalf of the Zionist Organization of America (“ZOA”), we urge you to confirm respected CIA Director and former Congressman Mike Pompeo as Secretary of State. Director Pompeo demonstrated his mettle and dedication to transparency and the safety of the American public during his heroic efforts to stop and obtain information regarding the catastrophic Iran deal. In July 2015, then-Congressman Pompeo traveled to Vienna with Senator Tom Cotton to meet with International Atomic Energy Agency (IAEA) officials. During those meetings, Cong. Pompeo and Senator Cotton uncovered the secret IAEA-Iran side deals, agreed to by the Obama administration, which the Obama administration failed to disclose for public scrutiny and failed to submit to Congress for its legislatively mandated review of the Iran deal, in violation of the Corker-Cardin bill (the Iran Nuclear Agreement Review Act). Cong. Pompeo and Senator Cotton then conveyed this vital information to Congress and the American public. Director Pompeo is a strong friend of America’s greatest ally Israel, and well understands the dangers posed by the continuing Arab/Islamic war against America, Israel and the West; and the extraordinary dangers of the Iran deal, Iran’s hegemonic ambitions and Iran’s role as the largest state sponsor of Islamist terrorism. In light of Iran’s continuing dangerous aggression, and violations of the Iran deal, Director Pompeo is an ideal choice for Secretary of State. Director Pompeo also understands the importance of strongly opposing Russian aggression. This stance takes on even greater importance in light of Russia’s positions in Syria. President Trump’s nomination of Mike Pompeo is a superb choice for carrying out a robust foreign policy that assures the safety of the American people, and continues to strengthen US relations with our loyal and valuable allies including Israel. 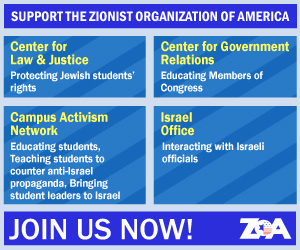 About the ZOA: The ZOA, established in 1897, is the oldest pro-Israel organization in the United States. One of the ZOA’s earliest presidents was Supreme Court Justice Louis Brandeis. The ZOA is dedicated to combatting antisemitism, assuring Israel’s security, and assuring the safety and security of all Americans. ZOA’s Concerns: The ZOA is deeply concerned about false and misleading allegations and proposed “questions” and demands for inappropriate “commitments” in the April 10, 2018 letter sent to you by Anti-Defamation League (“ADL”) Chair Marvin D. Nathan and ADL CEO and National Director Jonathan Greenblatt (the “ADL Letter”). The ADL Letter downplays and omits Islamist terrorism against Jews and Americans; wrongly maligns groups and individuals – including Director Pompeo – who voice legitimate concerns about Islamists; and insists upon the creation of a Palestinian Arab state, despite the fact that the Palestinian Authority is presently a dictatorship promoting violence and terror and murder against Jews and Americans such as Taylor Force; the Palestinian Authority continues to pay terrorists to murder Jews and Americans visiting Israel (including paying the family of the murderer of Taylor Force); the overwhelming majority of Israelis oppose a Palestinian state; and such a state would be an Iranian-Hamas-Hezbollah terror state that threatens Israel’s existence. Areas of Agreement or Partial Agreement: ZOA does agree with the section of the ADL Letter entitled “US Leadership Against Iranian Aggression.” However, it is disturbing that the ADL Letter omits Director Pompeo’s excellent record on opposing Iranian aggression, which ZOA briefly described above. ZOA also agrees with those portions of the ADL Letter section entitled “Upholding America’s Commitment to a Safe and Secure Israel at Peace With Its Neighbors” that address Palestinian incitement and demonization of Israel and the Jewish people; unequal treatment of Israel at the United Nations; and Palestinian Authority anti-Israel actions in international bodies. However, it is again disturbing that the ADL omits and ignores Director Pompeo’s excellent record in these areas. As set forth above, ZOA also disagrees with the portion of this section of the ADL Letter calling for what would be a Palestinian Arab terror state. ZOA also agrees with parts of the section of the ADL Letter entitled “Rising Sectarian and Religious Violence in the Middle East,” regarding violence by groups such as ISIS, Al Qaeda, Hezbollah and Hamas, and violence against the Coptic Christians in Egypt, Bahais and Christians in Iran, and Yazidis in Syria and Iran. However, ADL improperly omits that the perpetrators are driven by radical Islamist ideology, and omits that Islamist groups such as the Muslim Brotherhood are slaughtering the Coptic Christians. Today’s ADL: Today’s ADL repeatedly downplays or ignores overwhelming radical Islamist terror attacks on, and threats towards, Jews and Americans. ADL instead maligns organizations and individuals who voice legitimate concerns about these Islamist threats, including by hurling the erroneous label at them that they are “Islamophobic.” . In addition, on occasion, the ADL has even signed joint letters with radical Islamist organizations, including the Council on American Islamist Relations (“CAIR” – an unindicted co-conspirator in the Holy Land Foundation trial, implicated in funneling funds to Hamas); the Muslim Public Affairs Council (“MPAC – which supports Israel’s destruction, defends Hezbollah and says that Israel should be suspected for perpetrating 9/11); Islamic Society of North America (“ISNA” – another unindicted co-conspirator in the Holy Land Foundation case implicated in funneling money to Hamas); the National Iranian American Council (“NIAC” – reportedly an arm of and lobbyist for the virulently anti-Israel Iranian regime); and the so-called “Jewish Voice for Peace” (“JVP” – a virulently anti-Israel group that defames Israel and promotes boycotts against Israel). The ADL Letter Ignores and Downplays Islamist Threats: The ADL Letter ignores and downplays Islamist threats and attacks on Jews, Americans, and others. Indeed, the ADL Letter never speaks of Islamist terrorism. The ADL Letter’s one-sentence, passing mention of 9-11 omits that 9-11 was perpetrated by Islamists. ADL thus attempts to pass off to your Committee this Islamist murder of an elderly Jewish woman as some sort of “generalized” antisemitism, with no relation to Islam or radical Islam. Mrs. Knoll is not an isolated incident: In recent years in France, Islamists have perpetrated eleven grisly torture-murders and murders of French Jews (including murdering Jewish children), hundreds of antisemitic physical attacks on French Jews, and massive terrorist attacks that have killed hundreds of other innocent people. Numerous detailed studies have demonstrated that Muslims have been perpetrating the overwhelming bulk of antisemitic attacks in Europe, and maintain the highest percentage of antisemitic attitudes. Yet, the “Global Anti-Semitism and Other Forms of Hate” section of the ADL Letter never even mentions Islamist antisemitism and attacks on Jews. The ADL Letter wrongly castigates Director Pompeo for raising real concerns about Islamist terrorism, and for speaking with noted terrorism experts, whom ADL wrongly labels as “Islamaphobes,” etc. For instance, the ADL Letter wrongly maligns Director Pompeo for raising real concerns regarding Islamist terrorism in the aftermath of the Boston Marathon bombing. In fact, ignoring reality was why the Boston Marathon occurred – in which 3 innocent Americans died and 264 innocent runners and bystanders were injured. First, the Russian intelligence agency cabled the FBI twice, warning that Chechen Muslim Tamerlan Tsarnaev associated with militant Islamists. Yet the FBI found that Tsarnaev had no links to terrorism, and no alert was triggered when Tsarnaev subsequently flew in and out of JFK airport. Second, two years before the marathon bombing, on the significant date of September 11, 2011, the Tsarnaev brothers brutally slit the throats and practically decapitated three young Jewish men whom the Tsarnaevs had befriended in Waltham, Massachusetts. Officials wrote this off as a drug murder, and failed to do the needed Islamist terrorism investigation that could have captured the Tsarnaevs before they perpetrated the Boston Marathon massacre. In addition, the Tsarvaev borthers’ mosque invited radical speakers to its sister mosque (including speakers who called for killing Zionists and Jews); and taught a brand of Islamic thought that encourages grievances against the West, distrust of law enforcement and opposition to Western forms of government, dress and social values, and encouraged radicalization. The problem of radicalization in certain mosques continues today. For instance, in July and December 2017, Imams in five different mosques (in California; North Carolina; New Jersey; Houston, Texas; and Garland Texas) were videotaped giving sermons calling for the murder of Jews. Acknowledging these realities is not “Islamaphobia.” Yet, ADL wrongly condemns Director Pompeo for voicing entirely appropriate concerns about “facilitating, providing resources and money for educating, training, helping and assisting” those engaged in violent extremism. The ADL Letter also wrongly brands terrorism experts “Islamaphobes,” etc., and then essentially accuses Director Pompeo of “guilt by association” for speaking with the experts whom ADL has wrongly labeled. For instance, ADL wrongly labels Frank Gaffney (who interviewed Director Pompeo) as a “notorious anti-Muslim advocate.” In fact, Gaffney is the well-respected CEO of the Center for Security Policy; former Assistant Secretary of Defense for International Security Policy; former chairman of the High Level Group (NATO’s senior politico-military committee); former Deputy Assistant Secretary of Defense for Nuclear Forces and Arms Control Policy; and a former Senate Armed Services Committee professional staff member. He has been called to testify before the Senate Judiciary Committee. ADL also mislabels national security organization “ACT for America” as “the largest anti-Muslim organization in the US,” and then wrongly condemns Director Pompeo for being honored by ACT for America and its president, terrorism expert Lady Brigitte Gabriel. Gabriel is a Christian, born in Lebanon, who experienced first-hand the horrors of radical Islam. Militant radical Islamists launched rockets into her family’s home in their Christian town in southern Lebanon, destroying her home and seriously injuring her as they waged war against the Christian “infidels.” She was ultimately rescued and nursed back to health by the Israelis, before moving to the United States. Her books deal with the dangers of radical Islam. Gabriel was knighted in Europe for her international work on fighting terrorism and standing up for Western values. Gabriel has addressed Congress, the United Nations, top-ranked Pentagon officials, the Joint Forces Staff College, the US Special Operations Command, the US Asymmetric Warfare group, the FBI, and is a frequent commentator on national television. The ADL Letter then exacerbates its above-described mistakes by improperly asking that your Committee to demand that Director Pompeo should “disavow the harsh anti-Muslim rhetoric of groups with whom you have previously had connections” (when there is no such rhetoric); and “disavow [Pompeo’s] repeated insinuation that non-Muslims should fear the intentions of their non-Muslim neighbors” (when Director Pompeo merely warned against real threats, not generalized imaginary ones); and a whole series of other inappropriate demands relating to the ADL’s erroneous criticism of those who combat legitimate Islamist security threats. The ADL Letter’s insistence upon the creation of a Palestinian Arab state, and attempt to make this into another test for confirmation, is misplaced. Such insistence ignores that the Palestinian Arab leadership rejected repeated generous offers of statehood, preferring to instead maintain their goal of destroying the Jewish State. Insisting on the creation of a Palestinian Arab state is not the policy of the current administration. President Trump has repeatedly stated that he supports any agreement that commends itself to both sides. At last month’s AIPAC conference, neither Vice President Mike Pence’s speech nor Ambassador to the UN Nikki Haley’s speech made any call for Palestinian Arab statehood. The appropriate concerns are assuring peace and security, which at this juncture, are incompatible with creating a Palestinian Arab state. The Palestinian Authority (PA) is presently a dictatorship promoting violence and terror and murder against Jews and Americans such as Taylor Force. Despite repeated demands by President Trump and Secretary of State Tillerson to the Palestinian Authority to end its practice of paying terrorists $355 million per year to murder Jews and visiting Americans, and despite the passage of the Taylor Force Act, the PA is continuing its heinous “pay to slay” payments. The PA’s 2018 budget has reportedly raised the PA’s “pay to slay” payments to $360 million per year. In addition, polls demonstrate that the overwhelming majority of Israelis oppose a Palestinian Arab state. The recent Maagar Mochot poll found that Israelis oppose a Palestinian Arab state by a margin of over 10 to 1 (75% against, 7% for a Palestinian Arab state; and 18% with no opinion). Israelis and many others understand such a state would be even worse than another Gaza – where Israel’s withdrawal resulted in a Hamas takeover and Hamas and Palestinian Islamic Jihad firing 20,000 rockets into Israel and digging terror tunnels. A Palestinian Arab state in Judea/Samaria (a/k/a the West Bank) would be a springboard along Israel’s longest border for constant rocket attacks on Israel’s major population centers, airport and other infrastructure. Such a state would be an Iranian-Hamas-Hezbollah terror state that threatens Israel’s existence. Accordingly, ZOA requests that this Committee not adopt support for the creation of a Palestinian Arab state at this time as a test or factor regarding confirmation. The Zionist Organization of American heartily endorses Director Mike Pompeo. We hope your Committee will vote to confirm the superb choice of Director Pompeo as Secretary of State. See, e.g., fn 9, supra. See, e.g., “Antisemitic Attitudes among Muslims in Europe: A Survey Review,” by Günther Jikeli, Institute for the Study of Global Anti-Semitism and Policy (ISGAP), May 2015, at https://isgap.org/wp-content/uploads/2015/05/Jikeli_Antisemitic_Attitudes_among_Muslims_in_Europe.pdf (review of surveys from nine countries with more than 40,000 participants, including almost 13,000 Muslims, finding that antisemitic attitudes are signicantly more widespread among Muslims than among other segments of European societies; and that antisemitic attitudes are particularly strong among those believing and practicing authoritarian, “fundamentalist” interpretations of Islam); “Antisemitic Violence in Europe, 2005-2015: Exposure and Perpetrators in France, UK, Germany, Sweden, Norway, Denmark and Russia,” by Johannes Due Enstad, Center for Studies of the Holocaust and Religious Minorities, and Center for Research on Extremism (C-REX), University of Oslo, June 2017, at http://www.hlsenteret.no/publikasjoner/digitale-hefter/antisemittisk-vold-i-europa_engelsk_endelig-versjon.pdf (finding that in France, the UK, Germany and Sweden, but not in Russia, most perpetrators of antisemitic violence were Muslims with extremist views); “Study: European Muslims Perpetrate Disproportionate Number of Anti-Semitic Attacks,” The International Project on Terrorism, IPT News, June 30, 2017, at https://www.investigativeproject.org/6361/study-european-muslims-perpetrate . “2011 Waltham Triple Murder,” Wikipedia. “Mosque That Boston Suspects Attended Has Radical Ties,” by Oren Dorell, USA Today, Apr. 23, 2013, at https://www.usatoday.com/story/news/nation/2013/04/23/boston-mosque-radicals/2101411/ ; Boston Bombers’ Mosque Tied to ISIS, by Paul Sperry, New York Post, Sept, 7, 2014, at https://nypost.com/2014/09/07/jihadi-behind-beheading-videos-linked-to-notorious-us-mosque/ . “ZOA: Fire Four Imams Who Called for Murder of Jews,” Jan. 15, 2014, at https://zoa.org/2018/01/10377423-zoa-fire-four-imams-calling-for-murdering-jews/ (includes links to video recordings of the Imams’ speeches calling for the murder of Jews); “ZOA Horrified by US Imam’s Hitler-Like Demand to Murder Jews – Fire Him!,” July 28, 2017, at https://zoa.org/2017/07/10370794-zoa-horrified-by-us-imams-hitler-like-demand-to-murder-jews/ (includes link to transcript). ADL Letter, page 3, fn. 6. “New Polls Show Overwhelming Opposition to Palestinian Arab State and Concessions: Poll Results Confirm That ‘Standing With Israel’ Today Means Opposing A Palestinian Arab Terrorist State,” ZOA, Apr. 3, 2017, at https://zoa.org/2017/04/10358368-new-polls-show-overwhelming-opposition-to-palestinian-arab-state-and-concessions/ (including links to poll results).